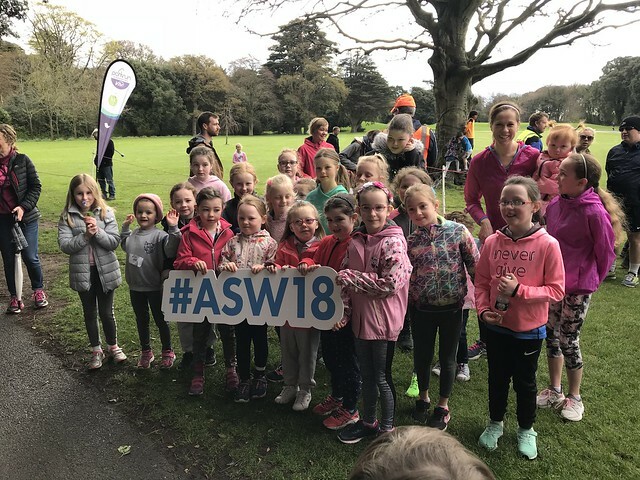 Our Active Week got off to a great start on Sunday when lots of our pupils, teachers and parents participated in the Parkrun in St.Anne's Park. Throughout the week the classes played badminton, tag rugby, cricket, Taekwando, Irish Dancing, Yoga, soccer, Gaelic and fencing. Active homework was given to the pupils during the week too. We also launched our Active School Walkway this year with the trail around the school grounds. Our annual Skipathon takes place on Friday as well as our student/teacher Dodgeball game! A fantastic week of activity within the school! Special mention of thanks to Ms.Howard and the Active Committee members who co-ordinated the activities. Click on the image below to view more photographs..